"Mary was bummed when she crashed her Bimmer but she would find herself beaming soon enough! 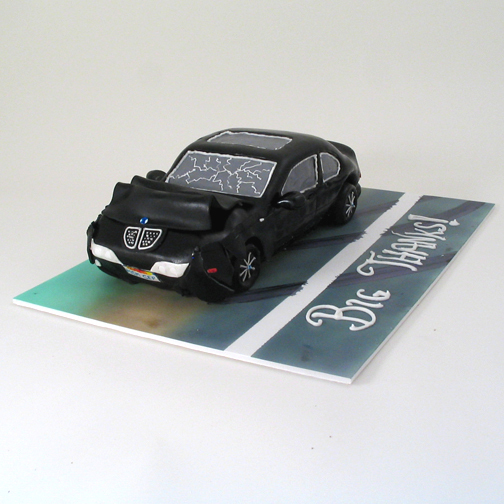 She was so happy with the repair job on her BMW, she made a pit stop at my place for a custom cake. (How cool is that?) Imagine the grins at the garage when they got their big thanks!"